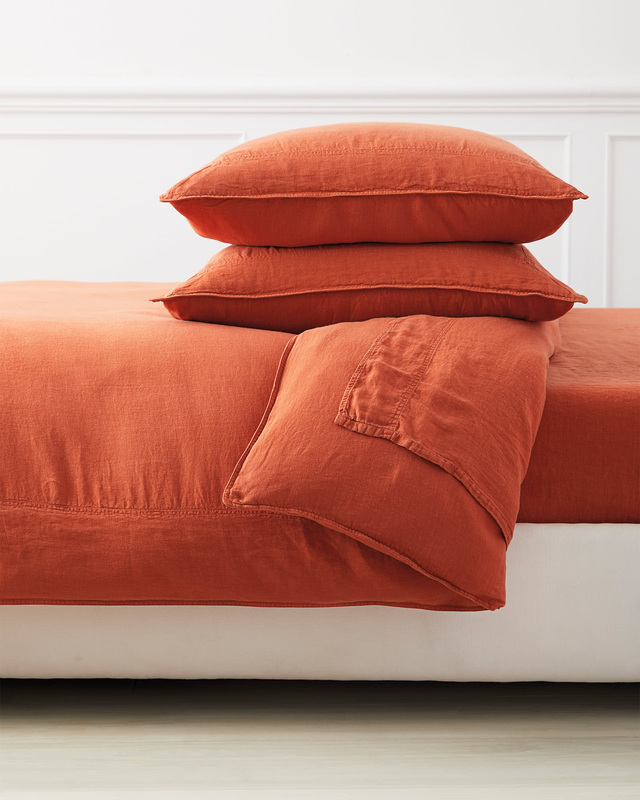 Positano Linen Bedding SetPositano Linen Bedding Set, alt="Positano Linen Bedding Set, "
Print We’ve given linen a colorful new look while retaining all the great features it’s prized for – relaxed drape, inviting texture, and effortless style. 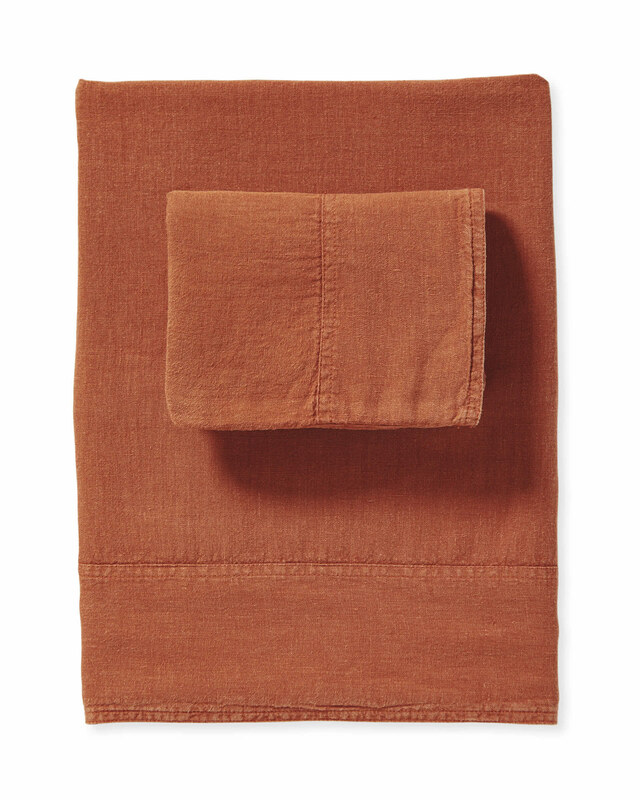 Casual yet luxe, bold yet versatile, this is a well-balanced layering essential that’s earned its keep in our linen closet. And thanks to linen’s signature breathability, our bedding keeps you cool when it’s hot yet perfectly warm on colder nights. Specially washed to be extra soft and just gets better with time. Specially washed for incredible softness. Feature a 7” applied frame border. 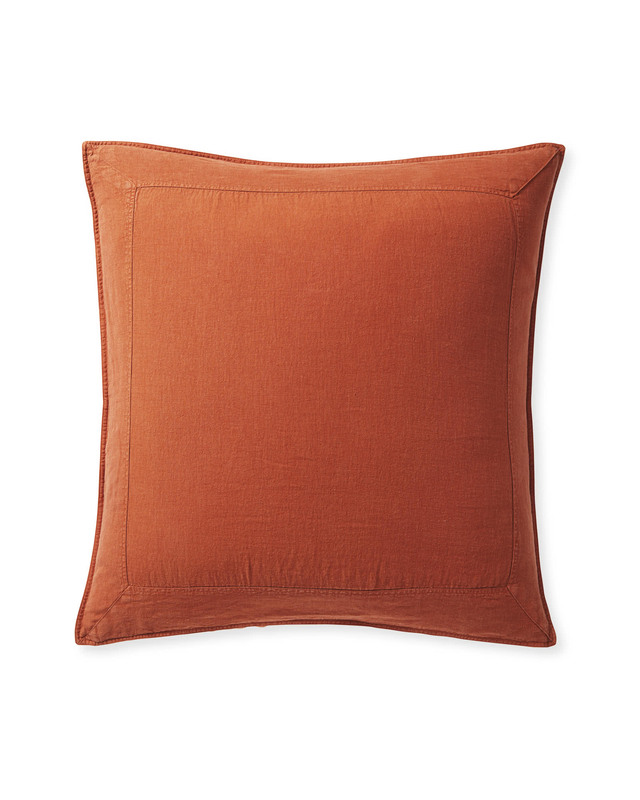 Feature a classic 4” cuff on the top of the flat sheet and the border of the pillow(s).